Is it just me, or are others starting to notice how non-gardening related products are starting to market gardening and growing plants, including vegetables? My thoughts always turn to gardening, so maybe I’m the last to catch on that the rest of the world is starting to think about gardening, too. I noticed earlier this spring that some of the boxes of Triscuit crackers have information on them about “Join the Home Farming Movement!”, which sort of cracks me up because it means that I might actually, for a brief moment in time, be ahead of the curve on “what’s hot” these days – gardening and growing vegetables. 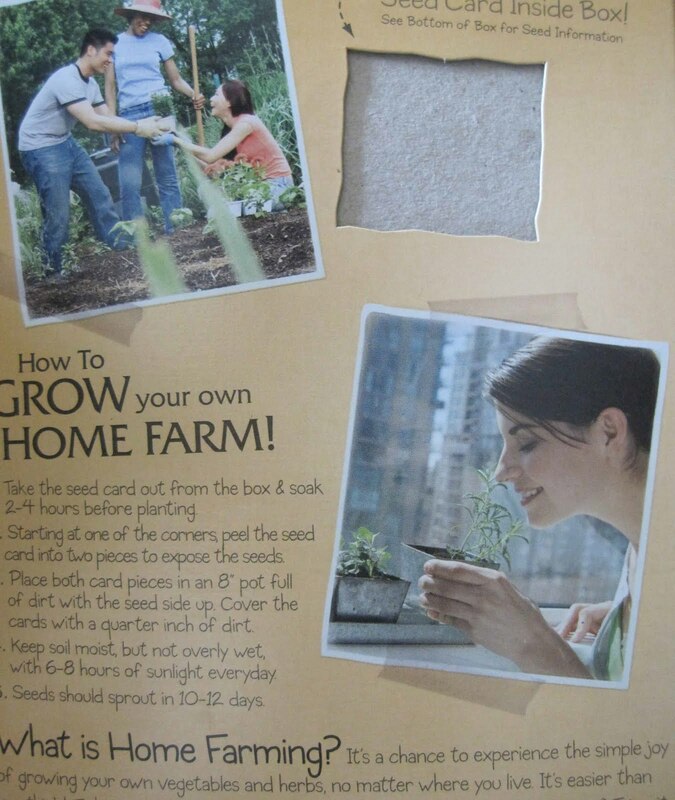 On the back of some of the boxes, there is even a patch of cardboard containing either basil or dill seeds with instructions on how to plant them. How successful are those cardboard laden seed patches? I received two boxes of Triscuit crackers (regular and my favorite – reduced fat) and a $20 gift card to help with expenses to try these seed patches out. Just to be clear, the marketing people for Triscuit crackers wanted me to be sure and let everyone know that they supplied these crackers and the gift card and that they have more information on the Triscuit Home Farming website. On the website, they have expert information from Paul James, who we all know as “the Gardener Guy”, details on community-based home farms they are sponsoring, and a place where you can put the location of your “urban farm” on a map. 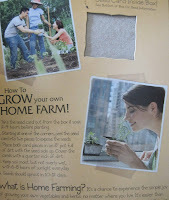 Gardeners like me who always have on hand all kinds of flats and pots and potting soil don’t necessarily need the kind monetary donation for supplies to try out these seeds. So I donated the $20 gift card to my niece who teaches third grade. Like every teacher, she is always looking for supplies for her classroom and a little extra help. Many of her students don’t get information on gardening at home, unfortunately, so she helps them plant seeds in the spring and tend to some indoor plants all year long. I was going to ask her to try out the seed patches, but it is summer-time, and she’s on break. Well, she’s on break for another week or so, then she goes back to the school to help with an “at risk” program for kids who aren’t fortunate enough to always get breakfast and lunch at home and could you some encouragement to keep reading through the summertime. Hey, wait, she’ll be around kids this summer – maybe she can get some of them to help her grow some dill and basil from seeds, compliments of Triscuit crackers? For the last several years of teaching I received a whole garden set up from Wall Mart with all Burpee seeds. We really appreciated these as we grew plants each year under lights. Yep, I like a nice thick slice of cheese on my trisket to go with my ice cold Bud at the end of a day working in the garden. Excuse me while I go get some. Lots of primary schools in Australia have vegetable gardens maintained by the children, and one of our cooking writers, Stephanie Alexander, has set up a formal association to promote them.